True story: I once had a [much, much] older co-worker pull me into a conference room to tell me he thought I looked like Scarlett Johansson. He then followed it up, "Don't worry, I think she's really attractive." Because of course, that makes it much less awkward and not at all sexual harassment. It explains everything. That leopard print dress Scarlett Johansson is wearing? Jersey. The fact that Tony Danza is in the movie? Jersey. Total dedication to the gym and an affinity for clean sheets? Jersey. Jersey Shore is not dead, my friends. 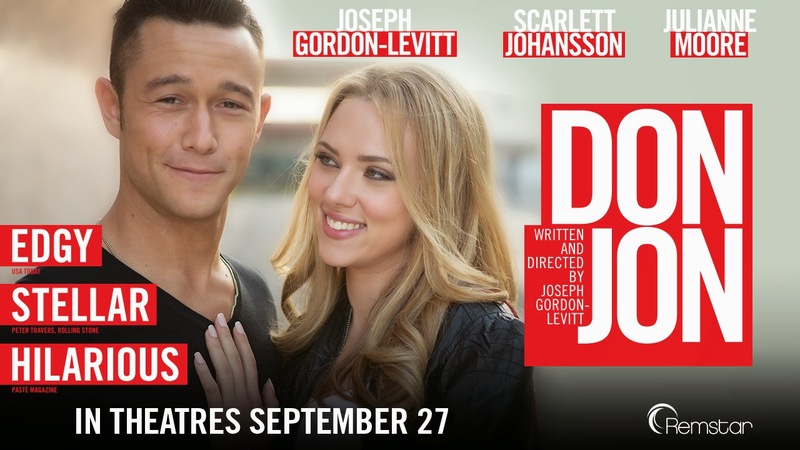 It has be reincarnated into a movie and that movie is called Don Jon. Except that this movie is a genuine piece of work with professional actors in it and Jersey Shore is well, you know. And there's no Snookie in this movie. Final word: Jaw-dropping. In so. many. ways.